This page serves to keep track of the various projects that the community team are currently engaged with. Meetups are the groups that power year-round local WordPress communities. The WordPress chapter program with meetup.com provides central account management for official groups. The Meetups program is overseen by a group of people including Courtney Patubo Kranzke, Rocío Valdivia, and involves the projects listed below. To get involved, ping them in the #community-team Slack channel, leave a comment on a relevant post, or use the team contact form. Respond to incoming requests to join the meetup chapter program. Includes vetting meetup applications, interviewing applicants, running organizer orientations, checking for existing groups, and chapter setup on meetup.com if approved. This group of volunteers also initiates swag shipments to new organizers. Volunteers Needed: Yes, 4–5 people. Experience Required: Good search skills (to check for poorly indexed groups not on meetup.com, as well as to vet applicants), good written communication skills, friendly and welcoming attitude. Time Commitment: Flexible, about an hour or two per week. Respond to incoming requests from existing meetup organizers to join the chapter account, and reach out to qualifying groups to invite them to join. Review the guidelines with organizers and make sure there are no conflicts that need to be resolved. Submit group information to meetup.com for quarterly opt-in process if approved. Status: Ongoing, but finite — just until we’ve contacted all the WordPress groups on meetup.com. Volunteers Needed: Yes, 1–2 people. Experience Required: Excellent written and verbal communication skills, at least 1–2 years in the WordPress community (so you’re familiar with the community’s background), ability to defuse tense situations, and not take it personally if a community member directs their frustration/anger/defensiveness at you. Time Commitment: Flexible, and as much time as you’d like. At least 1 hour per week, but as many hours as you want to offer, we’ll take. Organize a local group, or an event series within a group to bring together WordPress users in your area. Experience Required: Familiarity with and/or have a love of WordPress, desire to meet other people who love WordPress, good communication skills, reliability, good organization skills. Time Commitment: Varies based on role. Anywhere from 2 hours up to 10+ hours per month, depending on what you want to do. WordCamps are the annual WordPress events organized by local communities. The WordCamp program is overseen by Andrea Middleton and Cami Kaos, and involves the projects listed below. To get involved, ping them in the #community-team Slack channel, leave a comment on a relevant post, or use the team contact form. 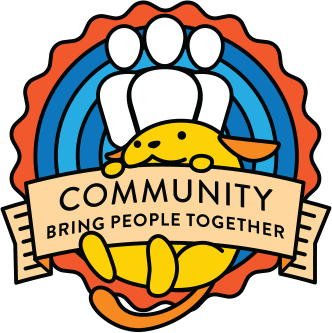 Community deputies are a team of volunteers in the Community Team from all over the world who review WordCamp and Meetup applications, interview and train lead organizers, order swag for Meetups and WordCamps, mentor WordCamp organizers,wrangle & advise sponsors, and generally keep things moving at WordCamp Central. The Deputy handbook has more information as well as a sign up form for those interested in joining the program. You can see the list of currently active deputies here. The Google Summer of Code, often abbreviated to GSoC, is an international annual program, first held from May to August 2005, in which Google awards stipends, which depends on the purchasing power parity of the country the student’s university belongs to, to all students who successfully complete a requested free and open-source software coding project during the summer. The program is open to university students aged 18 or over. For more information, please see the full article on Wikipedia. The next session is planned for 2018. For more information, please check the Outreachy program site.